At Optimal Health Chiropractic, we take great pride in providing the finest chiropractic wellness care to our patients. Below is a sampling of the different chiropractic services we offer in our CASTLE ROCK office. We provide advanced spinal correction utilizing the Gonstead technique. Dr. Vaughn is the only Chiropractor in the area that utilizes this technique and philosophy. We have dedicated a section here on our web site to explain more about the Gonstead technique. Have you been in an auto accident? 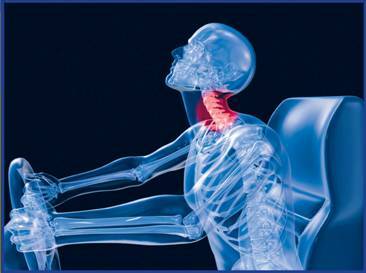 Our multidisciplinary clinic can help you recover from whiplash injuries, soft tissue injuries, joint injuries, and other auto related injuries. Read more about auto accident injuries and our approach to recover and care on our dedicated auto accident page. Dr. Vaughn is a certified provider in the Graston Technique since 2011. This technique allows Dr. Vaughn to detect and treat areas of "scar tissue" or adhesions in muscles, tendons, and ligaments that can reduce our range of motion and cause pain. Check out our Graston page to learn how this technique is performed and the benefits you can achieve. FMT is a technique that focuses on the body's integration of movement by multiple muscle contractions. This taping technique helps reconnect the brain to the body's intentional movement to enhance rehabilitation of muscles. 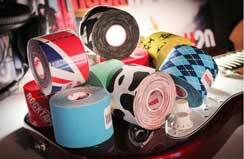 Dr. Vaughn is a Certified and advanced Rock Tape Doctor. Click the link above to learn more about Rock Tape and Functional Movement Taping. ART is a patented, state of the art soft tissue system/movement based massage technique that treats problems with muscles, tendons, ligaments, fascia, and nerves. ART can treat a wide range of conditions and injuries, from auto accident injuries, traumatic injuries, sports related injuries, or even simply from daily muscle overuse. Dr. Vaughn can custom orthotics using the latest laser technology and Aline Orthotics to meet your specific needs. Orthotics help stabilize the body's biomechanical system and improves functions. Custom Orthotics can improve various conditions such as; plantar fasciitis, Ilitibial Band Syndrome, shin splints, lower back pain, knee pain, or hip pain. Dr. Vaughn is certified to perform athletic sports physicals through the Colorado Chiropractic Association. Call today to schedule a sports physical for only $40!! We provide acupuncture treatments for various medical conditions, while also providing treatments for allergy elimination using the NAET Technique. Acupuncture is a painless, non-invasive, quick, effective, and gives permanent results. We provide specific recommendations on nutritional supplements and healthy food choices to enhance our patient´s return to optimal health. Do you know which supplements and vitamins are good for you? Do you know how these supplements and vitamins interact with one another? Derek Vaughn can provide a structured nutritional program based on your individual needs. We have a Licensed Massage Therapist on staff here at Optimal Health Chiropractic to help aid in your treatment if needed. Dr. Vaughn works with the therapist to ensure the treatment is catered to your needs. We also use several soft tissue techniques in the office besides massage. We provide a powerful therapy for, and from recovery from, a variety of conditions by using extremely low temperatures on the outer layer of the skin. Dr. Vaughn is the only Chiropractor in the area that utilizes the whole body cryotherapy technique and philosophy. We have dedicated a section here on our web site to explain more about the whole body cryotherapy.